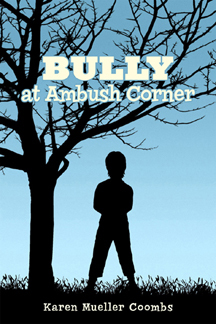 I’m pleased that people are reaching out to me with their stories about being bullied. One of those, a young woman named Stephanie Diaz, is going even further by trying to raise money to donate to organizations that fight bullying. Read Stephanie’s story and check in on her website, Love, Always Couture. If you like what you see, support her cause. Bullying is a hot topic lately, and I could not be happier about that. For four years of my life—my high school years to be exact—I was bullied. Not just bullied, but torn apart, broken down. My first three years of high school were difficult, but it was not until my senior year that things became extremely difficult. I will never forget the boy who nearly ruined my senior year. In eighth grade I had been diagnosed with a disorder called polycystic ovary syndrome, which is basically a fancy word for saying I could not get pregnant, or I would have extreme difficulty attempting to get pregnant. Another downside of this disorder is excessive facial hair growth. From middle school on, I had been getting laser hair removal services in order to hide the disorder I live with. Since this is a genetic disease, the hair always grows back, no matter what. Naturally, finding out I have such a disorder was absolutely devastating. But my classmate’s treatment was also devastating. I guess that particular day in class I needed to go back for one of my hair removal sessions, and the boy happened to pick up on it. He thought it would be funny to make up a nickname for me, which was “goatee.” He called me this in front of everyone in the class, continuously. It was a nightmare. I would pretend I did not hear him, but I did. There was no way I could ignore the humiliation of the name. He paraded around the hallways screaming it whenever he saw me, making my life a living hell. I went to guidance and explained the situation in hopes that they would change my class. They said no, there was nowhere else to put me. Basically I was going to have to deal with the harsh words. I started missing school, any excuse I could think of to skip that class. I started to miss pep rallies. I missed Grad Bash. I sat in the bathroom when there were events with even the slightest possibly that I would bump into him. I missed the Baccalaureate mass luncheon and I almost missed my prom, but my mom made me go. I was traumatized. When it came time for my graduation, I was petrified that he would scream something when I went up to get my diploma. My biggest fear was that he would start a cruel chant of some sort. To this day, I am almost certain that when I went up to get my diploma, I heard the word “goatee.” The day I graduated from high school was the best day of my life, because it was the last day I would ever have to see him again. I hoped that once I graduated, I would just be able to forget. But that isn’t possible; I will never be able to forget, which is why I have decided to fight back. Since bullying is something that has truly affected my life, I have decided to create a “fashionable” look for others like myself. I recently launched a clothing line for victims and people strongly against bullying and, most importantly, to help put an end to bullying for good. Ten percent of all profits are donated to a different anti-bullying organization each month. This clothing line is the way I am coping with what happened to me. Here is the link to my website. Before starting this blog, I had no idea so much was being done to end bullying. Sure, Stephanie’s contribution may not be as huge as that of Lady Gaga’s with her foundation and all her fame, but if each of us follows Stephanie’s example, together we can truly make a difference. Brava, Stephanie! You go, girl! Posted by Karen Coombs on April 12, 2012 in Uncategorized and tagged Bullies, Bullying, Donations for bullying organizations, Keep Calm and Carry On, Love Always Couture, Polycystic ovary syndrome, Raising money to fight bullying, Stephanie Diaz.